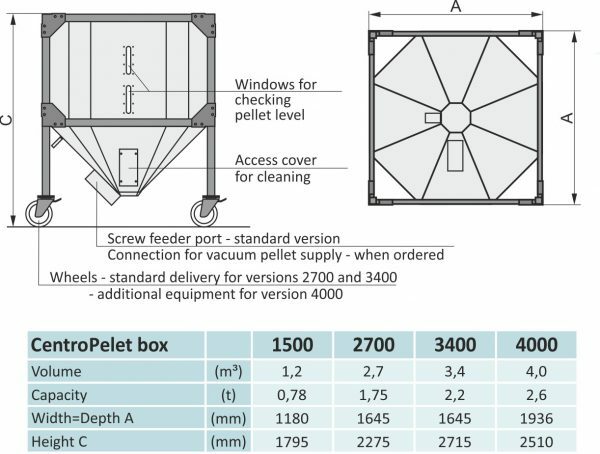 CentroPelet boxes are designed for storing larger quantities of wood pellets (1,2 m3, 2,7 m3, 3,4 m3, 4,0 m3) and are installed either in boiler rooms next to boilers, where connection of the tank to the pellet burner with the feeding screw is possible, or as remote containers to fill intermediate tanks using a flexible coil. 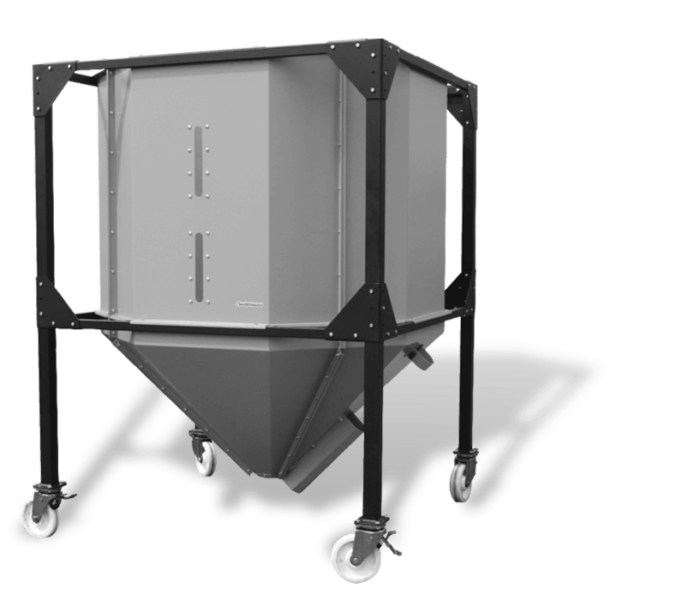 The pellet tank casing is made of steel. On one side there are windows for checking the pellet level. For 2700 and 3400 tanks the screw feeder is installed on the feed outlet at an angle of 45° while for the 4000 tank it can also be installed on the upper side at an angle of 60°. They are to be filled by hand (from bags or jumbo bags). Tanks are delivered dismantled which makes it easier to transport them and house. For 4000 tank the wheels are additional equipment.